The Doppler SODAR system PCS.2000 can be extended by radar components to a RASS system for vertical profiling of temperatures, temperature gradients and inversion layers synchronously with the SODAR profiling. The RASS is fully integrated in the SODAR operation and shares the same WINDOWS PC. 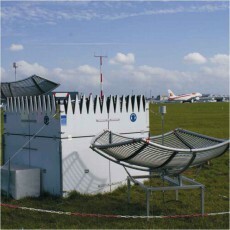 For compliance with national frequency regulations radar transmitters are offered at 915 and 1290 MHz. For long range measurements a 482 MHz version is available.